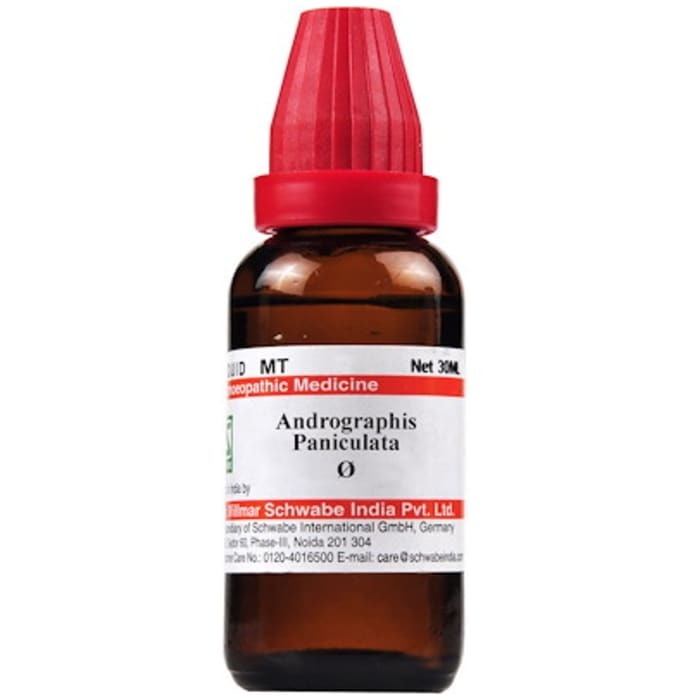 Dr Willmar Schwabe India Andrographis Paniculata Mother Tincture is a homeopathy medicine that is prepared from a botter plant called Andrographis Paniculata. This medicine is recommended in treating various ailments related to the abdomen, nose, throat, head and general problems as well. It is helpful in treating health problems including chronic fevers, skin and chronic digestive problems. The regular intake of this medicine also helps boost immunity. 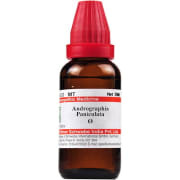 A licensed pharmacy from your nearest location will deliver Dr Willmar Schwabe India Andrographis Paniculata Mother Tincture Q. Once the pharmacy accepts your order, the details of the pharmacy will be shared with you. Acceptance of your order is based on the validity of your prescription and the availability of this medicine.